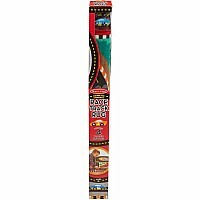 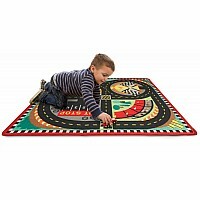 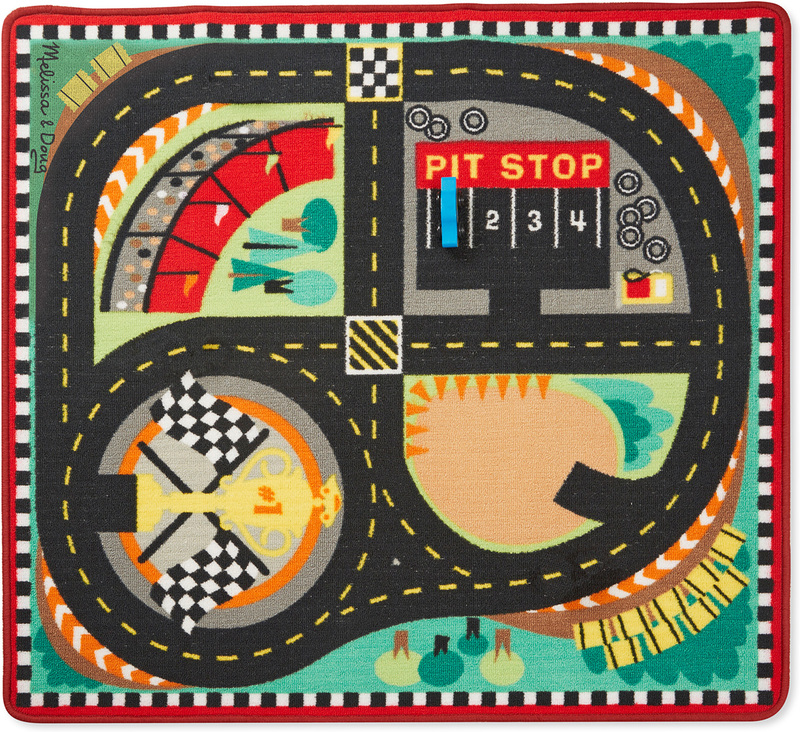 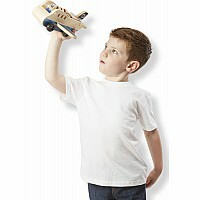 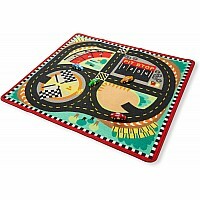 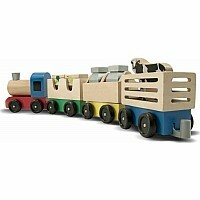 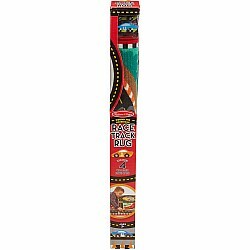 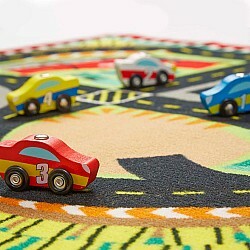 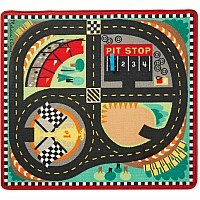 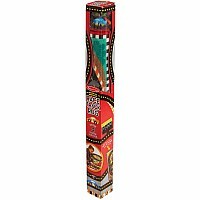 Take the inside lane to fast-paced adventure with this sturdy and colorful Race Track Rug. 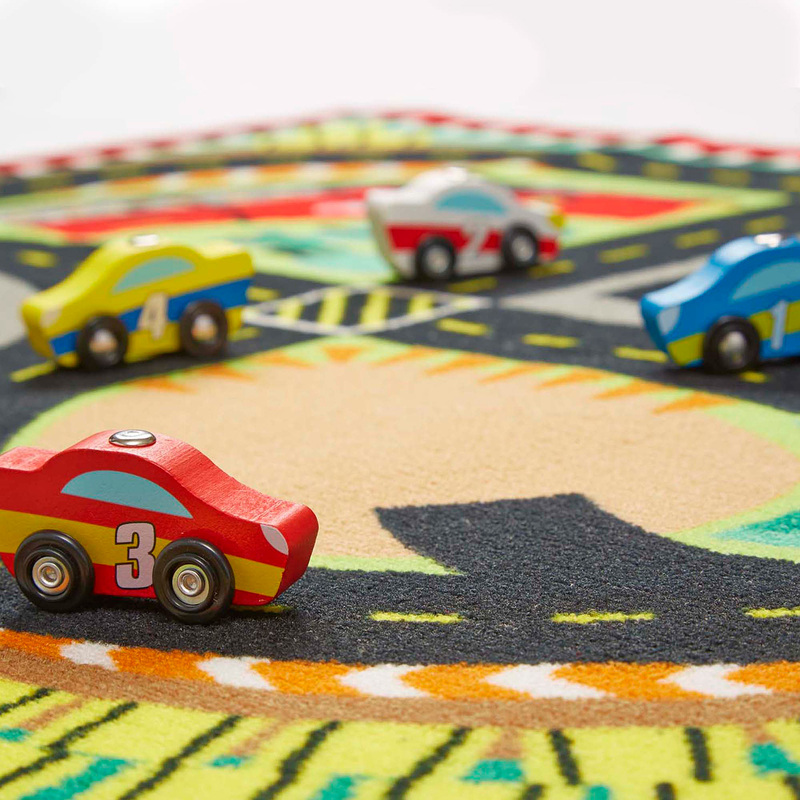 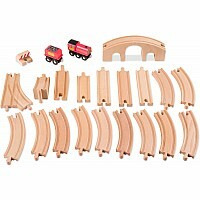 Durably made to look great for countless playtimes to come, the woven rug with a skid-proof backing comes with four wooden race cars and features a pit stop, winner's circle, stands, and a run-off area to accommodate all kinds of vehicles, play people, traffic signs, and more! 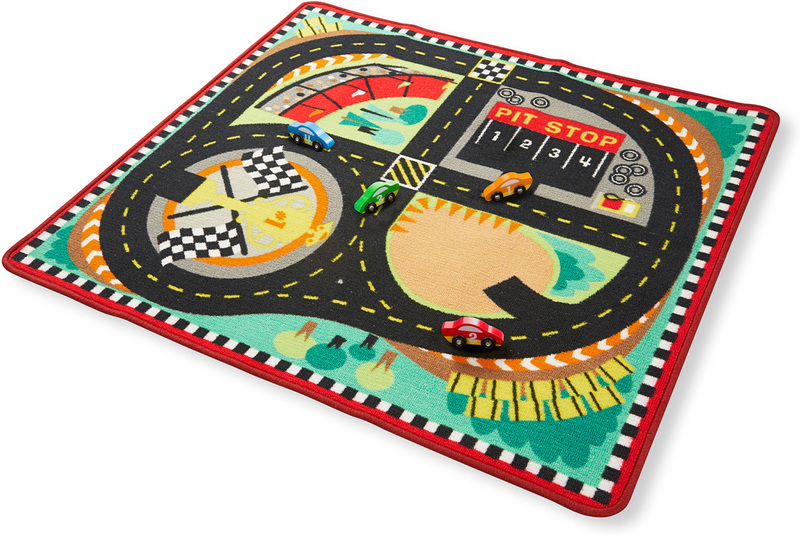 With this rug, there are lots of ways to learn and play.